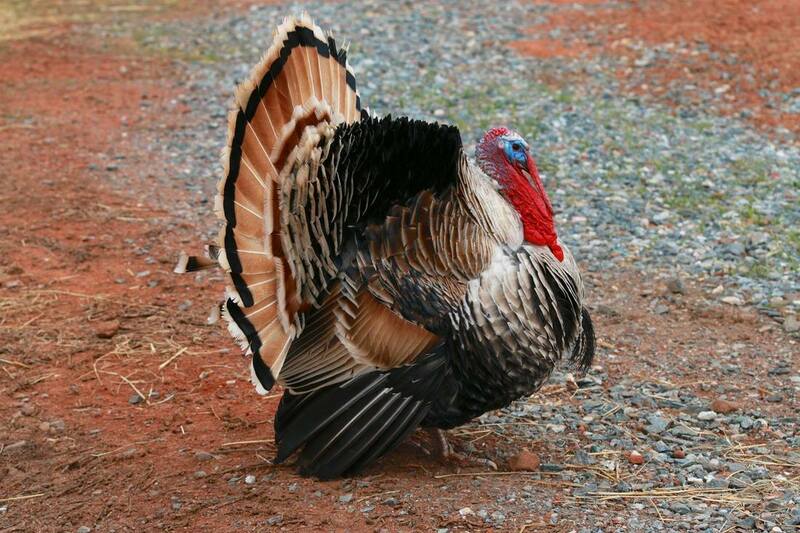 Sponsor a turkey this November and help us celebrate their lives as individuals and not food. XANDER was in danger of ending up on someone's Thanksgiving dinner table. Fortunately, the farmer's son urged his dad to spare Xander's life and now he is safe from harm, free to live out his life in peace. Xander sure could use caring sponsors to ensure that he has a plentiful supply of his fave treat (apples) and all the other necessities for a happy life. 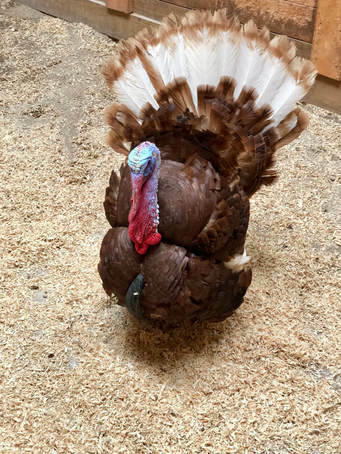 He is such a regal handsome fellow and likes to keep watch on all barn activities..
A flood inundated the location where PIERRE was being kept so he was being held in a cage for an extended period of time and facing the possible danger of being placed on Craigslist where his fate would have been dubious at best. Thankfully, the kind, concerned person who contacted us about his situation was able to transport Pierre to Full Circle all the way from NC. We were happy to welcome this gentle gentleman to his forever loving home! 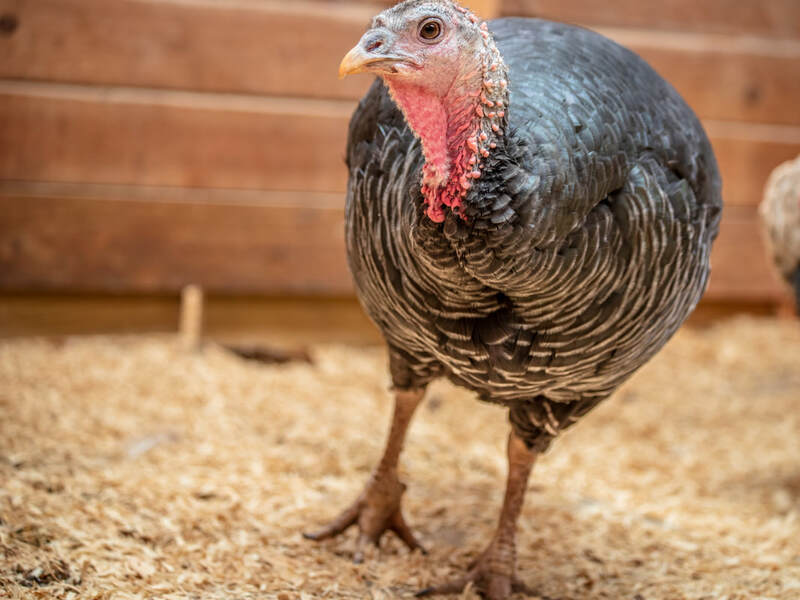 EPONINE was raised by a local turkey farmer who breeds turkeys in time to sell them for Thanksgiving and Christmas dinner. Luckily, Eponine was spared this fate and now calls Full Circle home. She will live her life out in peace surrounded by love. Complete the form below and give a beautiful gift of love this November!